Blog reader was asking why ADF 11g page load time is slow, in case when page contains multiple heavy Select One Choice components. 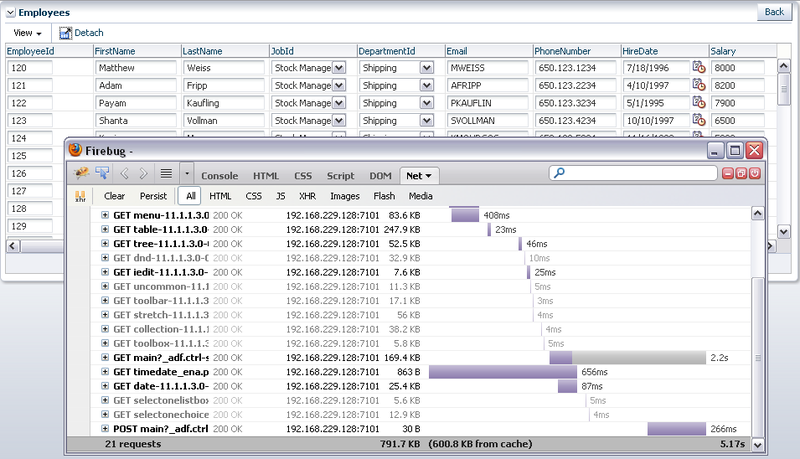 See comments for this post - Oracle ADF 11g Release 1 - Runtime Page Load Performance Improved !. Also, it seems like people are mixing two things together - Select One Choice and List of Values (LOV). 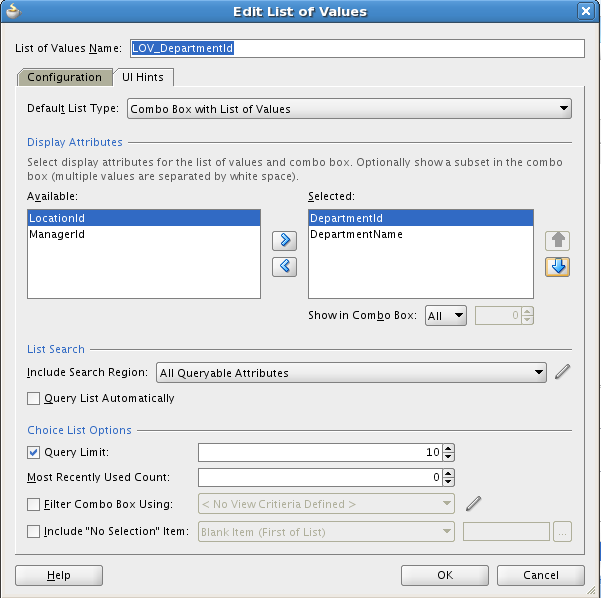 Before JDeveloper 11g R1 (before Fusion Middleware was released), we were experiencing such issue, when List of Values query was executed, immediately on page load. 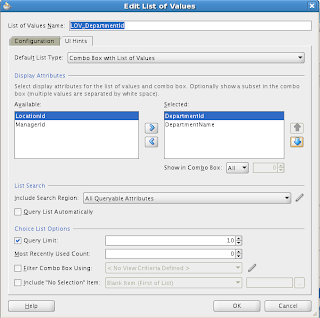 Of course this was causing lots of delays, imagine to execute 20 additional SQL queries for 20 List of Values components available on the page. However, since JDeveloper 11g R1 this issue was fixed and List of Values queries are not executed anymore on page load, only on demand - when user opens LOV component. 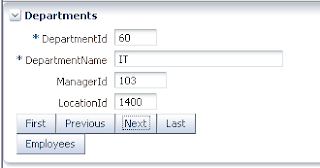 With Select One Choice is another story, this component must be populated on page load, it will execute database query to bring list data. 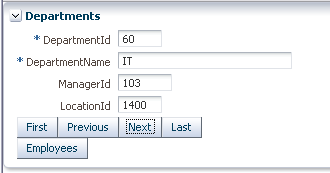 This means for better page load time, you should use Select One Choice only for those attributes, where returned list contains only few rows. At the end, there is no point to have long Select One Choice list, it will be unusable anyway. 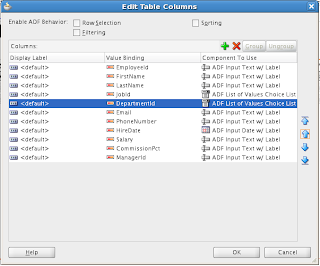 While Select One Choice is relatively light component, it requires database query execution on page load. You may consider using Combo Box with List of Values or just List of Values components for better page on load performance. 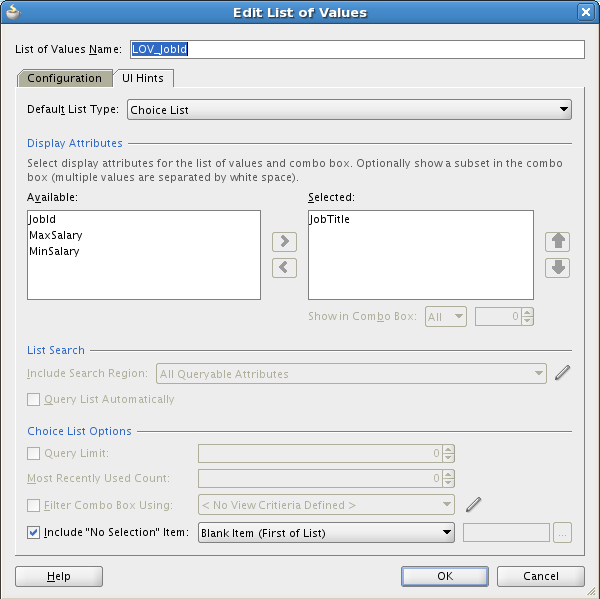 "Database query for Combo Box with List of Values will be executed on demand, when user will select new value"
But I have noticed if we have the Combobox Lov View Accessor dependent on any other parent VO attribute via bind variable and if the dependent attribute value changes then the view accessor is executed irrespective if the LOV is clicked or not. 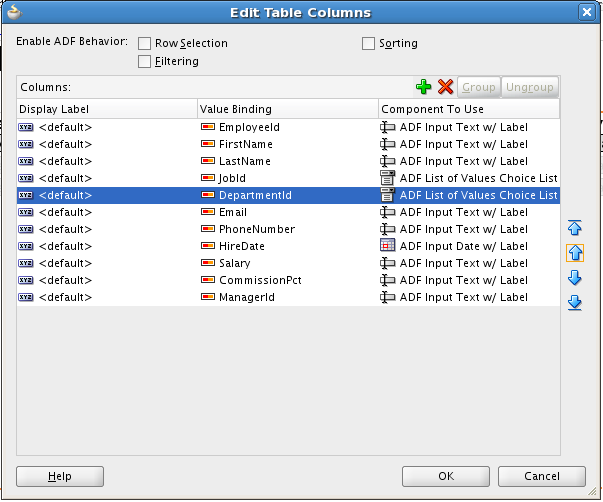 Eg in a page I have text box - dept id and 10 Lov's and all view accessors has a bind variable mapped to view attribute dept id. 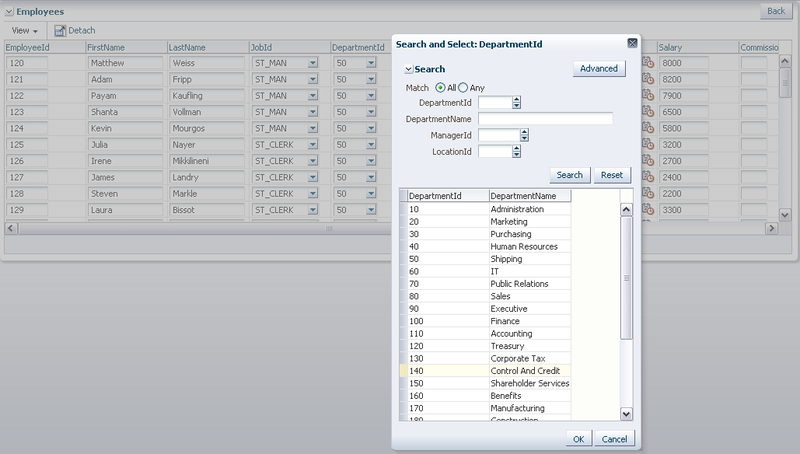 If I put some value to dept id then automatically all the view acessors are executed. Yes, its seems like different Use Case. You have cascading LOV's. 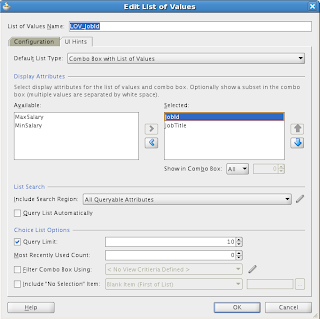 Hi, this is really a nice topic, I have implemented the same combo box with list of values, but When I select any item from the list it shows the internal code instead of showing the UI Hints on the input box, could you guide me if I am missing something? 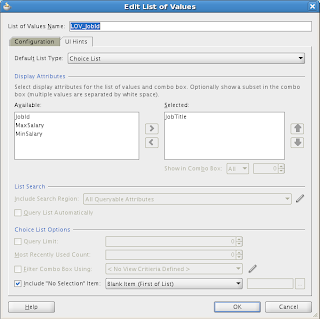 Actually, I have one view accessor(territoryPVO) in my VO and I wanted to show TerritoryShortName in the dropdown list and wanted to save IsoTerritoryCode in the database, So in the configuration tab of 'edit list of values dialog' I have selected data-source as my view accessor(territoryPVO) and listAttribute as IsoTerritoryCode. 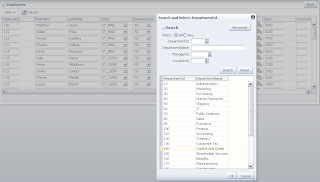 now when I run the application it shows the TerritoryShortName in the dropdown list which is fine, but when I select any value from the list, it shows IsoTerritoryCode in the input box of the dropdown list. 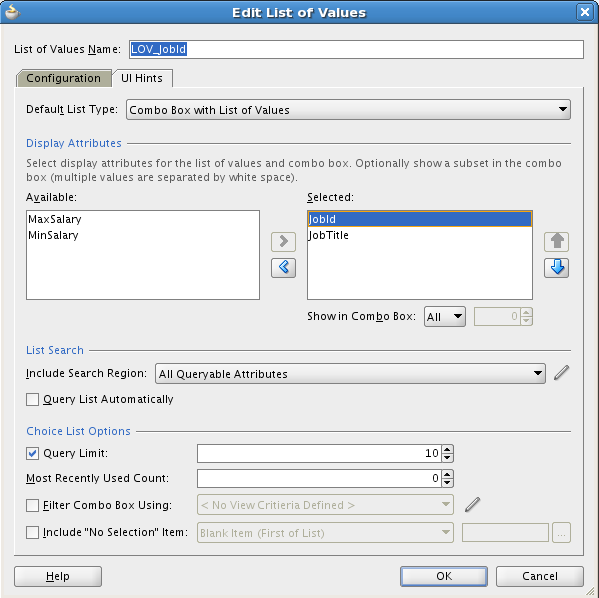 I have got one question I am trying combobox with list of values of drop down doesn't get expand according to conectent it is just stuck to width of combo, can anybody suggest solution?